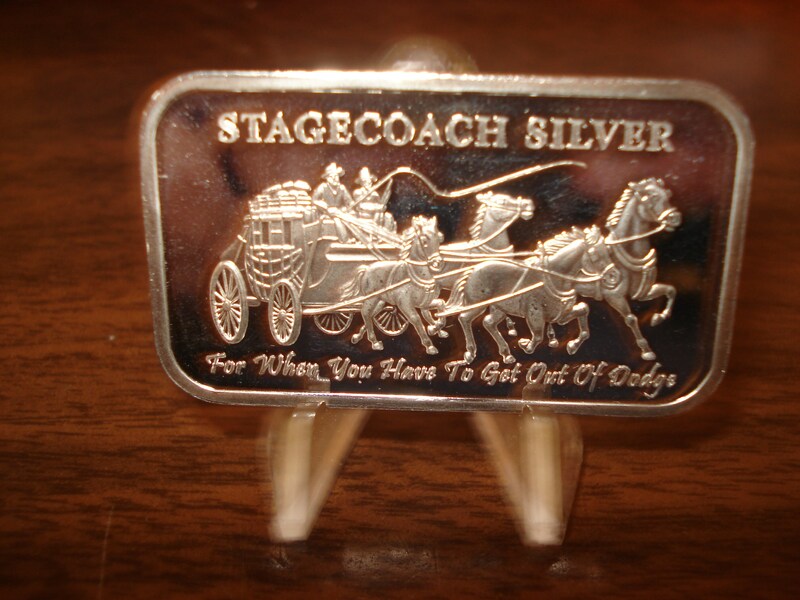 These are the popular Stagecoach Bars that were very hard to come across when they were produced as they sold through very quickly as they were in high demand. The front has a Stagecoach and four horses on it and on the back has the break apart 1/4 oz divided into four parts making up one ounce, also the fineness and the weight is denoted. These bars come in immaculate condition and are blast white silver with no toning.